didbook is where teachers, school leaders, parents and learning partners work together to support every student's learning and personal development journey. 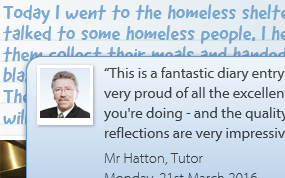 Students create reflective entries in didbook Applications (with text, photos and files) to record their achievements, activities and aspirations. Students' didbooks are shared with their teachers who can then support and guide students on how to improve their didbook entries and better showcase their achievements. The presentation, features and categories in each didbook Application provides scaffolding and encouragement for students to reflect holistically on their personal development. Capture and explore aspirations, highlighting the links between choices today and opportunities tomorrow. Basic building blocks of Education Identity: My Profile and (UCAS compatible) Personal Statements. 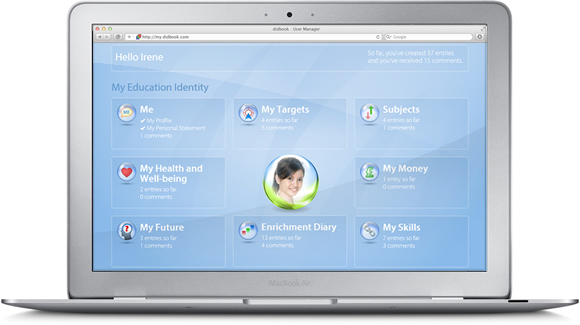 Create and manage smart personal and learning targets that can be accessed anywhere and any time. Reflections on strengths, weaknesses, achievements and significant learning experiences per subject area. Achievements, activities and aspirations relating to personal, social, health and economic well-being. Capture, celebrate and develop wider achievement from both in and outwith school. Personal and learning skills achievements using existing skills frameworks or customised to your school. Values, attitudes and character attributes that drive learning and motivate personal development. 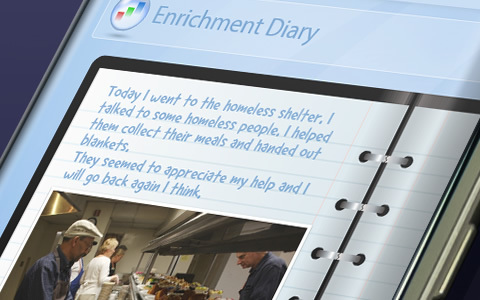 Looking at students' didbook entries is a convenient way for teachers get to know their students better - resulting in better learning experiences and better tutoring. the holistic impact of their teaching: what made it into didbook? Teachers add comments to didbook entries and use their new-found student knowledge to inform their teaching and nurture personal development. see the connections between their learning, their Education Identity and their future. Through didbook, students share and showcase all kinds of achievement: giving teachers new opportunities for positive reinforcement. At a glance, see when and how users are engaging with didbook. 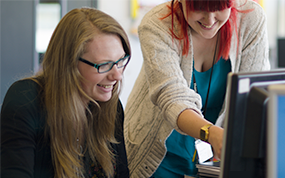 Access didbook related tutorials and resources tailored to your school. 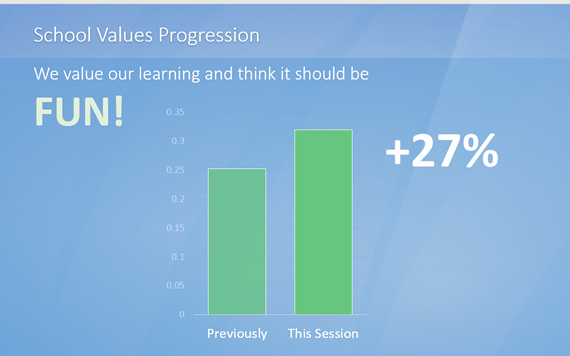 Measure progress for students, groups of students and your school as a whole. 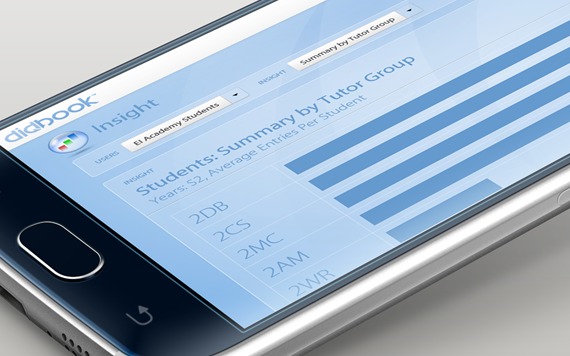 The didbook Applications encourage students to create reflective didbook entries in all aspects of their learning and life - this means you can measure almost any area of school improvement. didbook is consistent which means you can compare progress for individuals, groups of students, or your school as a whole. From this you can see the impact of your staff and learning partners. didbook contributes directly to many school improvement agendas - such as target setting, capturing wider achievement and skills development. It also captures and reinforces engagement with areas of school improvement it doesn't directly affect. Measure previously vague improvement areas to set clear targets & expectations that focus and motivate your team. 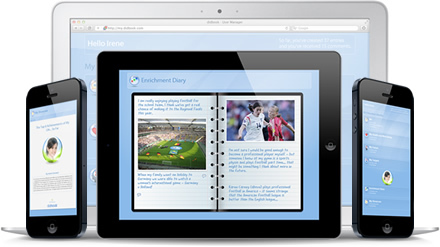 From remarkable individual student entries to whole school didbook Insights, get new ways to showcase achievement - to help rally the troops, celebrate your team’s hard work and increase pride in your school. Because this information is based on didbook entries created by your students, it is capable of withstanding robust scrutiny and more likely to impress governors or inspectors. To help schools get the most out of the school improvement potential in didbook, we assign an experienced Education Identity Advisor to work with school leaders in each of our schools. Together, we create relevant, simple and effective didbook strategies and bespoke didbook Insights tailored to each school's changing needs. Here is a list of school improvement areas that didbook can help measure, improve and showcase. Add student-led tracking and monitoring evidence to your current teacher-led systems. Take your profiling to the next level and get better profiles by supporting & tracking the process of profiling. Engage parents in new ways and share responsibility for profiling and holistic personal development. Embed whole school learning strategies - such as BLP, Growth Mindset or your own learning character approach. Meta-cognition and self-regulated learning facilitated and measured through didbook reflection. Help students build positive self-images, personal identity and the ability to confidently showcase their best self. Track the SQA or your own skills framework for individual pupils or groups of students. Track SQA H&W skills or your own framework. Measure & evidence SHANARI indicators. Raise aspirations and ambitions with future planning everyone can see and contribute to. Student led targets that can integrate and reinforce your school's current target setting programmes. Track and reflect on work experience, employability skills and optimise student performance in interviews. Ensuring profiling progress and success isn't lost in transition from P7 to S1 with the didbook Primary Pack. Measure impact and build on your enhancement trips, clubs, assemblies and events. A tangible, consistent way to nurture and celebrate positive attitudes, the four capacities and attributes & capabilities. 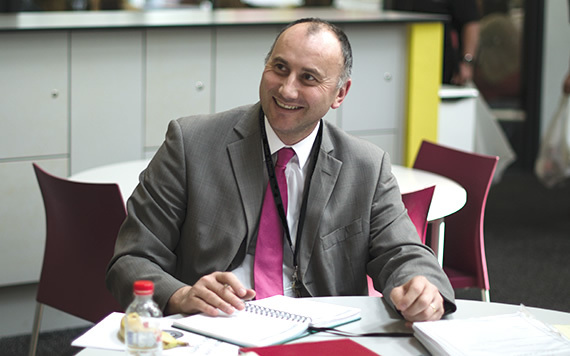 Measure, improve & showcase the mission, vision, ethos and culture of your school. Chat with an experienced Education Identity Advisor and find out more about how didbook can help your school.